SHRM Releases Lynne Curry's Article - "Bullying Isn't Illegal...Or Is It?" According to conventional thought, workplace bullies have virtual immunity unless they bully discriminatorily or cross the line into criminal assault. What options does an employer have when an employee complains of being harassed or bullied in a way that falls outside the current, well known scope of actionable offenses such as stalking, threats of violence or assault on a protected status? Dr. Lynne Curry explores answers to this question across three main areas: good faith and fair dealing, public policy and contractual interference. Lynne Curry Ph.D, SPHR is CEO of The Growth Company, Inc. and has over 30 years of experience in management consulting. 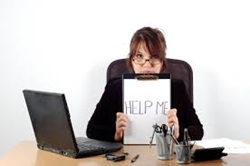 She frequently receives questions from clients regarding situations in the workplace. The Growth Company, Inc. is a Human Resource and Management consulting firm specializing in soft skills training, facilitation and mediation as well as investigations, coaching and manual/policy write ups and re-writes. The Growth Company, Inc. was established in 1978 and is one of the longest lasting consulting firms in Alaska. The Growth Company also has a Workplace Coach Blog where Dr. Lynne Curry and other HR professionals post about everyday situations that an employee, manager or supervisor may come across.